There were 27 posts published in May 2006 (this is page 1 of 3). No sooner have I queried just how quickly the buzz will die away from MySpace than Sixapart announce “Comet” (no, not the UK electricals retailer! Note though that the logo is white reversed out of red – similar to the old Comet logo before the brown/gold one). With MySpace users so young (aka fickle) – more than half are under 18 – the battle is more for the maturing, late, loyal adopters, rather that the teen-locusts who’ll just move on to the next crop field and devour that as soon as the wind changes. Comet offers a combo of blogging, personal site (structured around interests, books etc) and photos (Flickr-like). This seems to offer a step about the fast-moving, transient MySpace pages while not requiring the commitment to running your own blog. Good middle ground, and possibly a more sustainable business model. Much is made of the ability of ‘Web 2.0’ companies to monetise (ugh) the ‘long tail’ of the web. It’s such an old saw now that it’s becoming axiomatic, but every now and then it pays to question how this can work in practice. Publishing 2.0 has a nice article, based on his breaking the ‘magic 500 inward links’ (I didn’t even know that was a metric. oops). If you base the math on 41.4 million blogs, Publishing 2.0 is in the top 0.006% of all blogs based on being linked to by only 0.001% of all blogs! That’s some wacky math. Worth a read and a ponder. “Everyone’s got some spots on their clean vests,” he said. Not only a stunning driver, petulant and imperious competitor, but an aphorist too. 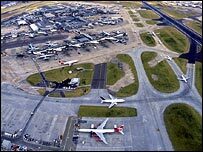 Interesting that this debate has opened: it would have been inconceivable until recently (when British Pride would have required us to rally to the LHR flag and keep pushing for more runways, more terminals and – go on – a travelator from Oxford Circus). Leaving aside the undoubted environmental impact of creating a 4-runway, 10-terminal behemoth in the path of migrating birds etc, this idea must surely be tickling the fancy of the London Development Agency and the East London boroughs… Never mind the Olympics, why disband the team in 2012 – let just move downstream and start building! Having written previously about ‘Da Turk’ this is the first example I’ve seen in action. Wonderful! 10,000 sheep images (all facing left) drawn for 2 cents each. Over 7,000 individual IP addresses contributed – how’s that for distributed working (or distributed sense of humour?). Best of all, you can buy a sheep print for $20. That’s 100,000% of cost. Heh. That’s what you call the Amazon multiplier effect! The BBC reports on Verdict’s recent report on high street fashion, noting that Tesco is now the ninth most-used clothing retailer in the UK, overtaking Bhs and River Island. * they don’t have the “segmentation overhead” of maintaining brands and store formats that will attract a given age or behavioural group. Nice, considered post from Andy of Isotoma on Web2.0. His point about the ratio of limited impact: maximal hype rings very true. He references the Redeye blog’s point that TechCrunch is not the web, even though it has the “53,651” globly Geekhood tuning in (I wonder if my RSS subscription therefore makes me a geek? Woo!). it’s also worth noting that writely could actually be deployed in about 15 minutes with one of kupu, FCKeditor or Tiny MCE and some storage on Amazon’s S3 platform. I like the ambition, focus upon tools and user context, and the elements of simplicity that “web 2.0” allows us to talk about. However, the warning signs are there: never mind how simple the idea, spend marketing dollars to get first mover advantage (which these days means “tug Yahoo|Google|Amazon’s chain and get bought”). 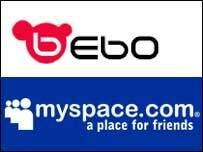 I’m struggling to get any interest in MySpace/bebo etc. Yes, I know that they’re phenomena, growing, vibing and otherwise pulsating with the very lifeblood of young consumers, but still I feel as if it’s already over. Yesterday. Popped. Why? Well, as I get older and recall the goldrush to have a ‘homepage on the web’ (the virtual “landgrab”), and then to have an AOL member’s page, .Mac etc. Then to have a basic blog. Then to have a “social” flickr/delicious/whatever account. Now it’s to have a MySpace ‘space’. These passings fads are to do with inscribing your name temporarily on the web (“carving your name in a block of ice on a hot July day” as I think Miller said in Death of a Salesman). While many people use them for hobbies, communication, respositories, the real buzz is around the “youth” usage of them. Looking at such spaces though really shows that they’re doing exactly what teenagers do in real life: talk about little, tease each other, comment on other people and gossip, occasionally shock and generally play with notions of identity and presentation. In these cases it’s the interaction that’s important: the medium not the message, the journey not the destination. Interesting press release ^W^W blog posting on the collaboration between Technorati and Edelman (“the largest independent global PR firm” – not sure how many other firms would be competing in the ‘independent global’ category for the prize…). Edelman is providing support for this accelerated development effort and will have access to these new sites as they are in development and testing this year. They will be working with their international clients on how to listen to and engage the blogosphere. How to move away from one-way, command and control marketing towards the conversational era we’ve entered. So: Technorati is trying to be multilingual, multinational and multicultural (ie not just speaking to/about The Valley). Edelman is elbowing its way into the comms and marketing budgets of big clients, telling them how to ‘engage’ the blogosphere. Just because a room is full of flies it doesn’t make them easier to catch, and the notion that the ‘blogosphere’ is coherent, can be addressed logically or that it’s a sort of ‘oasis’ where the big beasts of the savanna congregate, allowing the marketing hunters to take potshots at them, is fundamentally flawed. This ‘blogosphere’ is more akin to watching a swarm of locusts: you have little warning of the swarm forming and so it appears a force of nature; you have only the most general idea of the direction the swarm will follow, but when it’s passed boy do you know they were hungry! A former chairman of mine had an aphorism that the person who profits most in a gold rush is the one selling shovels, and there’s a nugget (sorry!) of truth in that for the current push to monetise the blogosphere. Edelman are by no means digital slouches, and they gave a great account of themselves at the recent Blogging for Business conference where Guillaume du Gardier spoke with insight and pragmatism. In linking with Technorati, Edelman will have direct access to the online behaviour and shifting interests of a class of internet user that’s at the leading edge of behaviour. This will give them a sort of “lab” to assess behaviour and commercial opportunities so that they’re prepared for the late majority of adopters. In advance of any such learning, however, there are clear pointers for companies looking to use digital channels to address or influence consumers: have a product with integrity, fit for purpose and need; listen and respond to customers insofar as it’s commercially sensible to you, but don’t pretend to be a co-op or to run your product by focus group (see first point! ); give voice to your staff and customer service teams – don’t route all comments via your legal department! Other than this the rudiments of customer communications, research and planning all stand. The new ‘blogosphere’ serves only to increase the speed at which customers can move away from you or – most painfully – the speed at which inept, inauthentic, manipulative, hollow and formulaic marketing rubrics can be exposed and mocked. Thanks. No. Polite way to dissuade social spammers..
Best of all, the effort of saying “stop it or meet my spam filter’s blacklist” is now roughly equivalent to the time they took to spam you in the first place. Balance. Zen.